The opposition People’s Progressive Party (PPP) has accused Regional Executive Officers (REOs) in the seven regions won by the party of flouting financial rules and procurement procedures, among other grievances. The statement detailed the various grievances the PPP has against each REO. 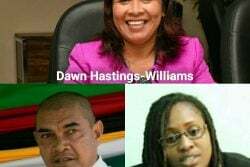 Stabroek News was able to make contact with the REOs of Regions Two and Six and both denied the PPP’s claims. Rupert Hopkinson, the Region Two REO was accused by the PPP of a series of infringements. These range from being insubordinate and disrespectful to the Regional Chairman, to awarding contracts without the involvement of the regional tender board and the RDC, and diverting funds from necessary drainage and irrigation and road works for the building of recreational parks. Hopkinson rejected the accusations as “blatant lies” and invited any media operative to visit his region to check. “Come check whether there are parks all over the region, check whether regional machines and equipment are being diverted. I can’t award contracts, the tender board does that. Come to Region Two and establish the facts,” Hopkinson said. He charged that the PPP is determined to stymie development in the region and because they cannot find fault with his qualifications or his work, they are lying. “They drive around all day looking for things and when they don’t find any, they make it up. They can’t fault my work. What I’ve done in four months, they haven’t done in 20 years,” he said. The REO added that he believes the constant complaints which are consistently carried in some sections of the media are part of a psychological war being waged by the regional chairman and other opposition party members in the region. Dr Veerasammy Ramayya, the REO of Region Six also claimed that the PPP’s complaints are attempts at sabotage. According to Ramayya, the PPP knows that if he is given five years in Region Six, they will never return to power. “They want to bring the government down and will do everything in their power to achieve that. They are not willing to concede, they still believe they are in power and have control. 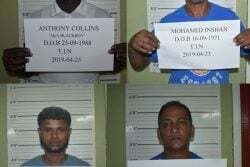 To them, if they lose Region Six, they will lose face,” he said. According to the official, in Region Six, it is one man, himself, versus the PPP and he will win. Addressing the specific complaints made such as claims he is awarding contracts outside of the regional tender board’s authority, Ramayya said the tender board is made up of five persons who deliberate on contracts to be awarded. 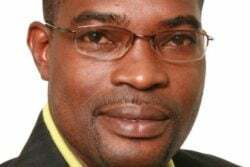 He pointed to a particular claim made by a PPP councillor that of the $260 million allocated for projects, only $15 million worth of work was completed. Ramayya denied the claim. He said that only $23 million remains and this amount has been allocated for the acquisition of ambulances for the region, a contract which is to be awarded by the national tender board.